Technology has become so advance that many of us spend most of our time on our phones . Sending work emails or checking your social media. 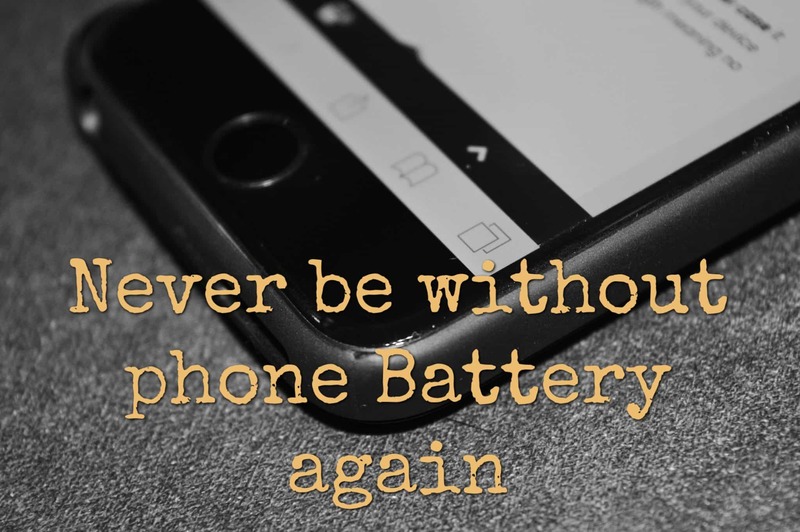 The only problem is that most of the time your phone battery dies during the day . Leaving you either without a phone or restricted by a Charing cable . Being a blogger I spend a lot of my day on my phone . My phone is the main thing I use for my blogging . From writing blog posts to updating my social media . 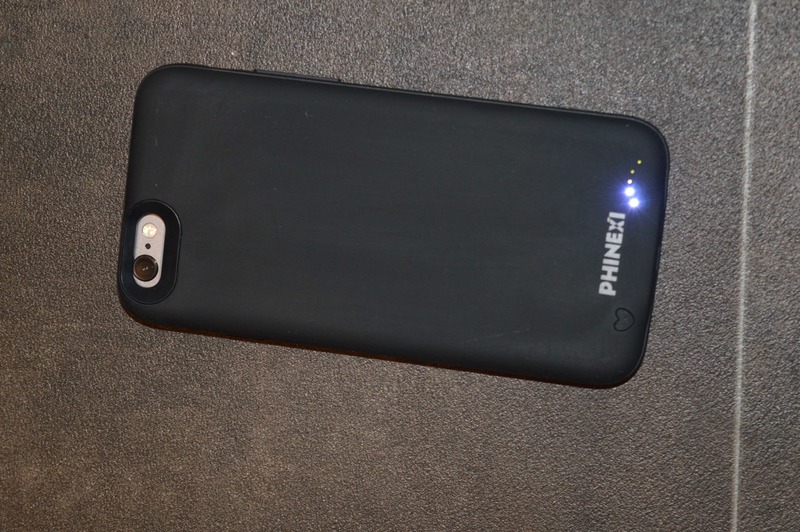 So when I was contacted by Phinexi to review their Charing case I was hoping it would help me through the day without having to charge my phone. I have tried other charging cases before and haven’t been happy with the size of the cases . They always made the phone feel massive and uncomfortable in my hand . Well the Phinexi charging case is the worlds slimmest. It only adds 73g to the weight and only adds 2mm to the length. Your still able to access all the buttons on the sides on the phone with ease . 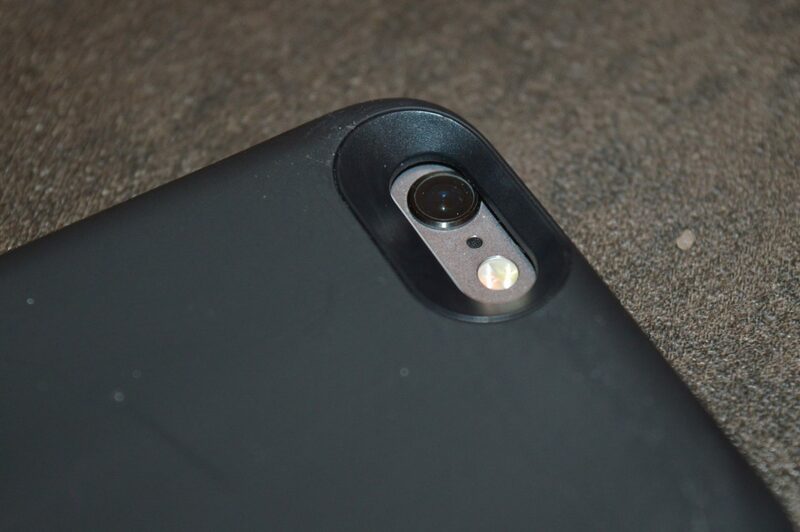 Also the case is cut perfectly that you can still have full use of the camera. 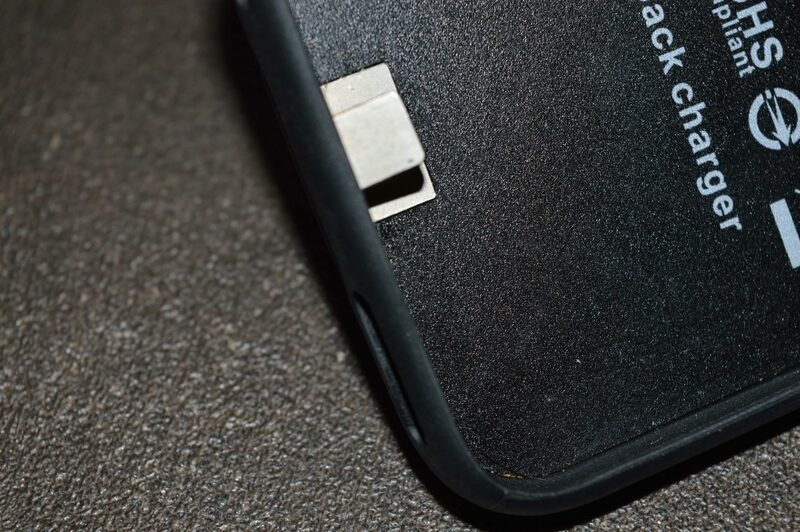 You simply have to slide your phone into place making sure that the connector above goes into the charging port . You do need to take great care when putting the case on and off so not to break the connector. To use the case you simply have to tap the heart shape twice then you see the light comes on . The number of lights indicates how much charge you have in your case . This case does give you 140% more charge meaning you shouldn’t be left without phone battery any more. At the moment they only do this charging case in black which is a shame as being a girl I would like a prettier colour . I have got over this as the extra battery has been in use everyday and saving me from not having a phone . When Charing the lights on the back of the case do flash . As I’m a person who likes to go to sleep in complete darkness I did find this annoying at times . It however hasn’t stopped me using the case. This isn’t just a great charging case it’s also protects your phone from wear and tear. The silicone case is made from medical grade silicone with a uv coated cover. 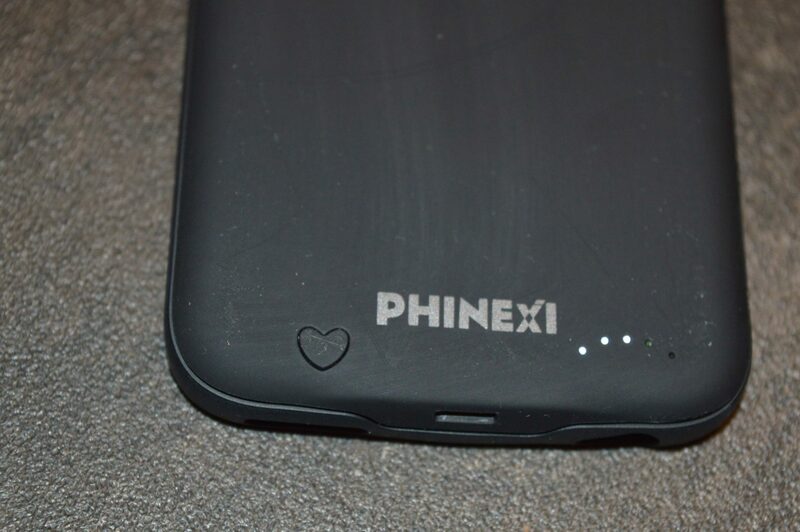 Want your own charging case or see what other products Phinexi do then pop over to their website. This charging case is currently available for iPhone 6/6s and 7.